With the passage of the Neighborhood Notification Ordinance, neighborhoods have had questions about the notifications they have received including how to respond. The Office of Neighborhood Services has organized a training with the Building & Developer Services Department to help neighborhood councils navigate the notifications regarding development within their neighborhood. 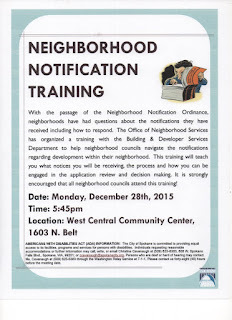 This training will teach your neighborhood what notices you will be receiving, the process and how you can be engaged in the application review and decision making process. 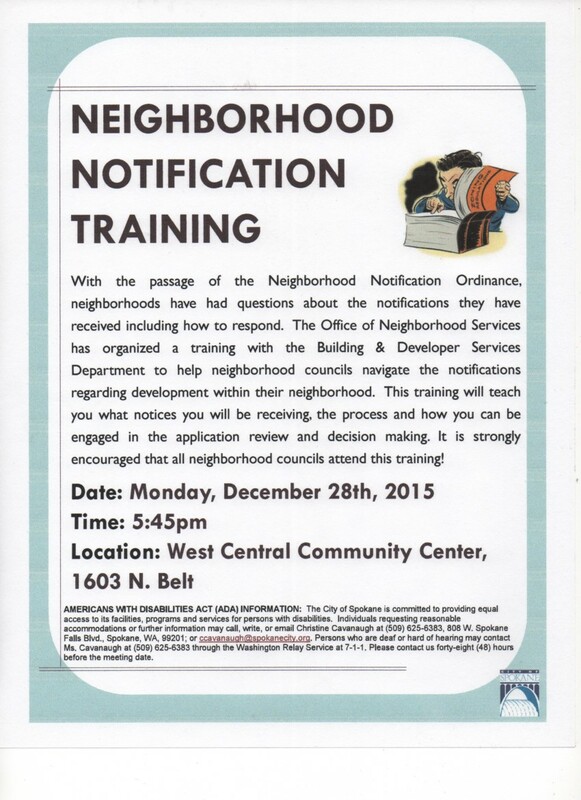 It is strongly encouraged that all neighborhood councils attend this training! Please pass this along to your neighborhood council membership. Attached is a flyer to share. Please RSVP to jcaro@spokanecity.org or 625-6733.